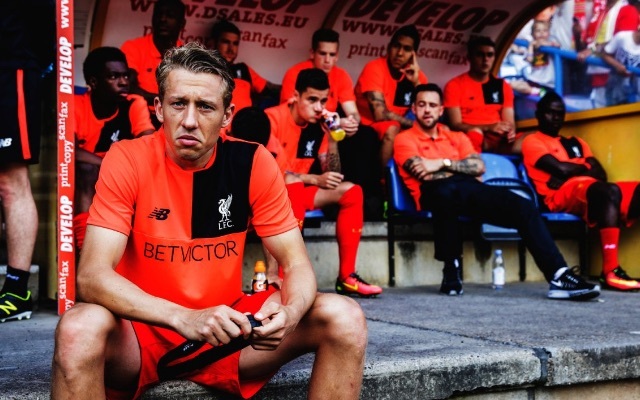 Last night, Liverpool’s players and staff got together to celebrate Lucas Leiva’s ten years at the club. The Brazilian signed from Gremio in 2007 and few would have believed that come 2017, he’d still be at the club – practically as an adopted Scouser! This term though under Jurgen Klopp he’s perhaps not played as much as he’s deserved to and there’s suggestions he’ll move to play more first-team football. “For sure, I will always be here to help, like I’ve been before – and I’m sure this group has all the tools (like our gaffer says) for success,” Lucas told the crowd during an emotional speech at the end of the night. If his time is up, we’ll be mighty sad to see him go. The Brazilian Scouser! ?? ?